Bold and glamorous, this black and gold heart belly bar really makes a statement. 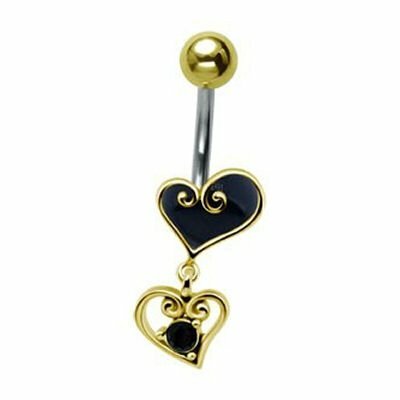 This belly button bar features two gorgeous gold hearts, one enameled and one with a glittering black jewel. It catches the light and shows off your piercing in opulent style.